Perth Soo Bahk Do is a martial arts school, but more so a community of kids, teens, adults and instructors all coming together to learn about how to apply the valuable lessons this Korean art has to give in their daily lives. We are a supportive community where everyone feels appreciated and included in their own right. We build stronger bodies and minds through positive encouragement and we lead by example. Whether you are 5 or 50+ years old, we know you will benefit from our classes. Learn more about our art and federation down below. Frank Akkerboom is the head instructor of Perth Soo Bahk Do. He started his martial arts journey when he was 14 years old and already back then he had the dream to once open a school himself, which came to realisation in 2014. The Perth school, as successfully established and run under another instructor for almost two decades, he was given the opportunity to take over the ownership with the loving support of his wife Eve. Frank has been active in several martial arts but his passion lies within the Korean styles. He currently holds 3rdDan level in Soo Bahk Do (Korean karate), 3rdDan level in Haedong Kumdo (Korean sword art) and a 3rdDan in Tang Soo Do (very similar to Soo Bahk Do). He has won many international tournament titles in the past, but he’s mostly passionate about the personal journey through practicing and teaching the art. He strongly believes in teaching in an engaging but respectful manner which supports all the students to take in the most from the classes. Frank’s biggest passion is to instil self-worth in all his student, something he himself has found the most valuable benefit from practicing after having struggled with this himself in his childhood and early teens. Always looking for learning and training opportunities Frank has travelled to many seminars and camps, both nationally and internationally. He has had the pleasure to train with the grandmaster on many occasions and has been guided by internationally acclaimed senior instructors from over 25 countries. He’s strongly involved with the development of Soo Bahk Do within Australia and if possible, travels to Korea each year for his own development. While still working as an IT specialist, he loves nothing more than to spend time with his students, as he knows the importance of consistent training in a positive and encouraging environment. Sometimes reaching some disagreement with his wife, but all his efforts are put toward the school and his students. Frank and Eve, both originally from the Netherlands, are happily married for over a decade and now call Australia home. They live in the Northern suburbs of Perth with their two dogs Plato and Apple. Soo Bahk Do is a traditional Korean martial art, which is the study of self-defence and promoting healthy life by fitness training, body awareness and increased flexibility, and breathing exercises for body mind connection. Although Soo Bahk Do is a self-defence art the main goal is not to defend ourselves but to train and better ourselves as a person so we can prevent conflict all together. Through practicing the art on a regular basis we learn how to handle ourselves in different situations; whether that’s in an unsafe situation, in a stressful situation at work, school or home, or even when you’ve got too much going on. Our art is focussed on balancing yourself and we teach the power of self-awareness which is the most important step of self-defence. We learn the tools we need to protect ourselves in any situation. Moo Duk Kwan – School of Martial Virtue or Style to teach Moo (military) and Duk (virtue / ethics / discipline) through training in the martial arts. The Moo Duk Kwan was founded by Kwan Jang Nim (grandmaster) Hwang Kee. On 9 November 1945, he opened his first Dojang in Seoul, Republic of Korea. The martial art taught was Hwa Soo Do (this name was later changed to Soo Bahk Do) and the style was Moo Duk Kwan. In other words, Soo Bahk Do is the technical side and Moo Duk Kwan the philosophical side of Soo Bahk Do Moo Duk Kwan. Character for “Moo” is made up of two characters; “止” which means “to stop”, and “戈” which means “lance, or big axe”. Traditionally, this character “武” does not mean military, war-like, or killing… but the complete opposite; stopping war, preventing conflict. Learning Soo Bahk Do with the Moo Duk Kwan philosophy helps students emphasise “virtue in action” by demonstrating courage, confidence, humility, discipline and respect. The Moo Duk Kwan is philosophy in action; you won’t just hear us talking about it, you see it! 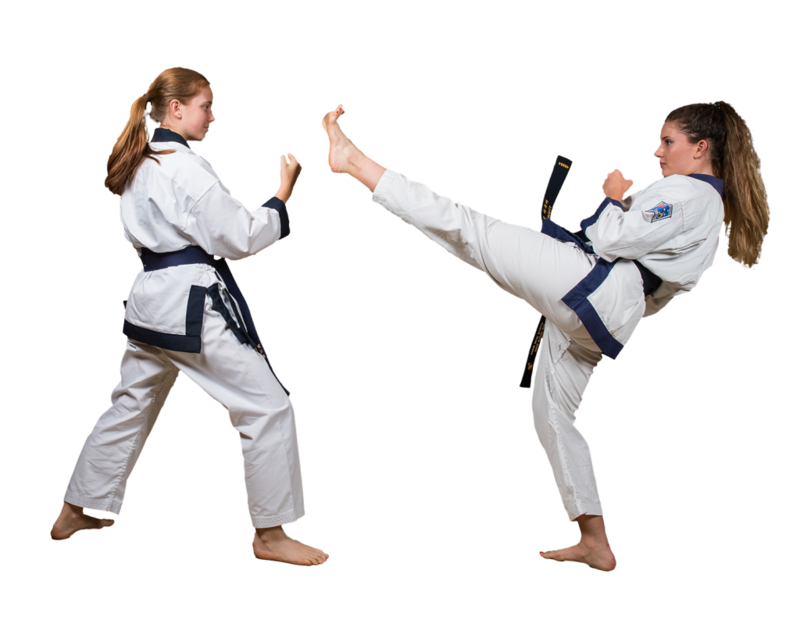 The benefits and secrets of training in Soo Bahk Do Moo Duk Kwan can only be gained by serious, rigorous and continues training. The foundation of the Moo Duk Kwan system can be found in the Five Moo Do Values; History, Tradition, Philosophy, Discipline/Respect and Technique. These values coexist interdependently with each element strengthen the meaning of the other four. When we apply the Five Moo Do values to our daily training we strengthen our self not only as a Moo Do practitioner, but also as an individual who provides a positive influence within our society. With Soo Bahk Do, we are teaching fighting techniques with a strong philosophy, which results in people who are able to defend themselves if need be, but first and foremost striving to become a better person. Ready to get the tools you waited for? Are you keen to see for yourself? Let us know you’re coming by booking your free trial class. Click on the button book now. Otherwise if you have any questions you can click the contact button.